You may be wondering about the title , ” Indian Version of Atkins Diet “. But just because a thought originated in the west does not mean that it cannot be adopted in the east. Yes, of course, the east-west union needs to be customized as per regional preferences. Every business idea that flew from east to west or west to east underwent makeovers to suit the lifestyle needs of people in regions across the globe. And this holds particularly true for extremely-personal lifestyle needs such as food & diet. Tastes differ from one region to another and diet plans need to be altered accordingly to suit every dieter’s unique needs. In this article, we are going to discuss how we can give an Indian makeover to the western Atkins diet and we hope you will be able to enjoy your meals without having to compromise on your taste, with this Indian Version of Atkins Diet . 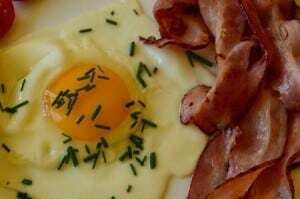 What is an Atkins Diet ? In Very simple terms , Atkins diet refers to a very low carbohydrate, high protein and high fiber diet. It Believes in the process of Ketogenesis. Basically the insulin levels in the blood are directly proportional to the glucose levels in the blood of a non – diabetic person. Atkins diet is all about restricting carbs from your diet and providing the alternate source of fuel to the body in the form of Protein and fiber. In the absence of adequate glucose, the body starts metabolizing fat stores from the body, thus facilitating weight loss. Atkins diet has following 4 phases that accounts from weight loss to weight maintenance after the program. This phase continues for 2 weeks. During these 2 weeks you are allowed to eat Low carb and high fiber foods like veggies. Foods that are high in fat and Foods that are high in protein. your total intake for carb should not exceed 20 grams per day. The sudden change in the routine will cause a rise in your metabolism and will kick start the weight loss process. Once you are done with your induction phase (most people carry it on for more than 2 weeks), you can then start adding some fruits , more of low carb veggies and some protein through nuts in your diet. This phase is more about restoring your nutritional balance. This phase is to be initiated when you are roughly 4-5 kgs away from your actual goal / ideal weight. This phase involves adding more healthy and complex carbs to your diet routine. The pace of weight loss slows down during this phase . exercises are very important in this phase as this involves fine tuning or in other words toning of your body muscles and getting into a good body shape. This phase involves eating good quantity of healthy carbs . Basically a nutritionally balanced diet that helps you in maintaining your lost weight. A lot of people try to remain in the induction phase for a long period of time to be able to lose more weight . 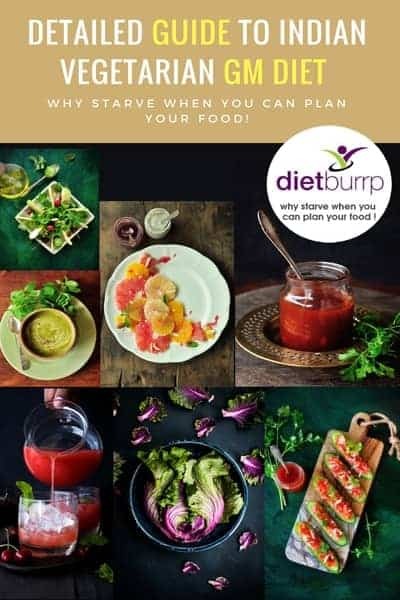 while there are others who do not go into much complexities and eat a lot high protein foods along with lots of veggies and fruits right from phase 1. Basically it all depends on what suits you more in terms of weight loss. Here is a detailed list of foods that are allowed and foods that are to be avoided while following this Indian version of Atkins Diet. Note – A lot of websites That describe Atkins Diet ask you to restrict legumes in the induction phase of Indian version of Atkins Diet. But I have been prescribing Legumes to my vegetarian clients. This helps in providing the client with more variety in the menu and more importantly this helps in meeting the protein requirement of the individual. Omelette with lots of,capsicum and other veggies. I may have altered or modified this sample menu of Indian version of Atkins diet in order to maintain the nutritional requirement of an average Indian individual. Also i have noted from my experience of over 10 years , This Indian version of Atkins diet works much better when followed with an intensive exercise / workout routine. those who follow this diet without any exercises may not benefit much. Indians, who love non-vegetarian foods, commonly feast on eggs, chicken, and fish and luckily, the Indian version of Atkins diet allows for the intake of all the three delicious non-vegetarian items. 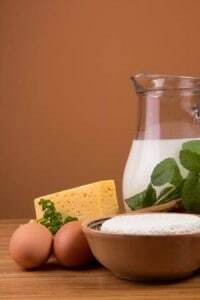 Fish and chicken have negligible amount of carbohydrates and eggs are rich in healthy fats. This is what makes Atkins Indian diet a party menu for non-vegetarians. Choose a healthy as well as tasty platter. Omelets, fish fillets, or Tandoori chicken- and you are right on track. Happily! Atkins diet allows for the intake of low-carb veggies and Indian menu has a lot of low-carb yet tasty vegetables to offer to us. We are listing vegetables that have less than 4 grams carbohydrates per 100 grams of vegetables. 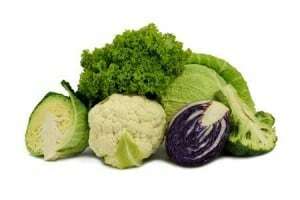 These vegetables of the cauliflower family perfectly uphold the High Protein Low Carbohydrate philosophy of Atkins diet and are best options for vegetarians who follow Atkins diet. Broccoli soup and cabbage soup are yummy delicacies that can make your evenings or afternoons very special. Alternatively, you can cook these vegetables as traditional Indian veggies and relish the flavors that run through your genes. Word of Caution – If you have Hypothyroidism, it is best to avoid these veggies as they are goitrogenic and can further affect the functioning of thyroid glands. All these vegetables and leafy greens can create incredible salads that will not only keep you full, but will also supply vital nutrients to your body. You can also have cooked spinach in curries and soups. Be creative in using capsicum in curries, salads or omelets. It can really create wonders. 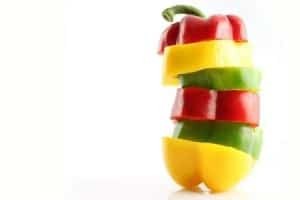 Some Facts – Capsicum / Bell peppers are very good sources of vitamin C and fiber. 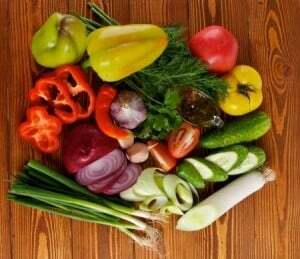 The antioxidants in Capsicum , specially red and green capsicums helps in increasing the Basal metabolic rate . 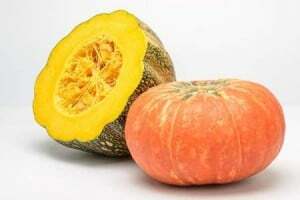 This low calorie vegetable thus facilitates weight loss when included in daily diets. If you are following Atkins diet, you may need to comprise on the intake of your favorite fruits. Atkins diet does not provide enough choices when it comes to fruits. You may have moderate amounts of berries including blueberries, raspberries and strawberries. Oh yes, you can have avocados as well. Both pumpkin and babycorn have little amount of carbohydrate content which make them perfect choices for those who are looking to lose weight. You can have protein-rich soya chunks as a delicious snacking option or you may consider having green whole moong as a perfect protein-vitamin combo. Oil doesn’t always mean fat. We are referring to healthy fats. you need to choose wisely. 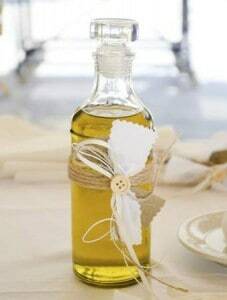 Consider sprinkling olive oil on salads. Fortunately, you are allowed to consume butter and ghee, but make sure that you exercise portion control (maximum 2 tsp in a day for ). Even the healthiest foods may cheat you if you fail to regulate your portion-intake. Be a little tricky in the intake of milk and dairy products. Some people actually achieve their weight loss goals with the appropriate intake of milk and dairy products while others end up with opposite results. It all depends on your body’s acceptance. 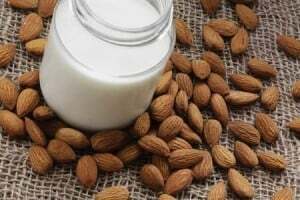 Indians have a natural liking for full-fat cream and paneer and if consumed in moderation, they can actually help them in their weight loss goals while supplying vital nutrients to their bodies.But while following this Indian version of Atkins diet, its best to avoid the milk fat . Paneer is a good option to consume. Nuts are handy, crunchy, delicious snacks and there is a chance that you overindulge in nut intake. Make sure you stick to 5 almonds or 5 walnuts per day. 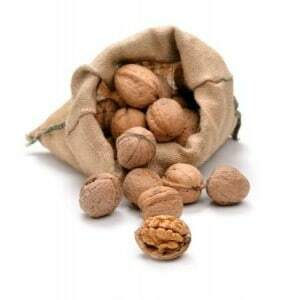 Some Facts – Almonds and walnuts are Great sources of omega 3 fatty acids. They not help you become brain sharp , but also help by raising your metabolic rate which helps in weight loss. Almonds also help in controlling your food cravings through the day . You are free to take oil and fats- but in moderation. First add veggies and then whole grains to increase carb intake. When dieters move closer to their weight loss goals, the weight loss process slows down as they add more carbs to their diet. Fortunately, by following a properly-designed Atkins diet plan, you can control your body’s response to carbs while making weight maintenance an easy reality. Atkins diet is a quick weight loss plan that really works if you demonstrate perseverance. Daily physical activities can further support your weight loss efforts. Don’t rely on just one cereal or pulse. Try to consume a combination of 3-4 pulses and cereals in a day in every meal. This way, you will be able to provide high-quality protein supply to your body. You may replace rice or other rice-based preparations such as porridge, dosa, pancakes, or idly with wholegrain cereals. 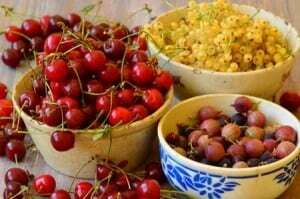 Go for home-made and natural food items. Drinking 8 glasses of water per day is crucial to getting desired results. Choose “This” instead of “That” and you will be making the most out of your Atkins Indian diet menu. Substitute a typical lentil soup with a bowl of chicken Shorba cooked with garlic, cinnamon, ginger, cumin and other spices, if you love non-vegetarian foods. Replace a curried meat dish with pulses. Meat dishes are better options than a saag dish as such spinach items often come cooked with flour or other starchy ingredients. Consider substituting a vindaloo dish with a tandoori item. Shahi paneer cooked in a creamy tomato sauce is healthier than deep fried samosas. Atkins diet is all about lifetime maintenance. If you have gained weight after following Atkins diet, you have to go back again to the starting point and start all over from day one. And we’re sure you can do it! Great information thank you for Providing this. Can you choose any items from the meal plan you have provided for the first 2 weeks as well? what is your age and weight ? I do have pcos and looking to loose weight as soon as possible can I follow this diet? if you are active and do intense workout , then atkins will really really work well for you. I am Ms Reshma. I have Pcos problem and I cant workout in the gym because I have slip disc & osteoarthritis problems in my back. I can only manage to walk or do light aerobics. I put on weight very fast & find it difficult to lose . Im 35 year old, 5.1 feet & veg & non veg both. Can u suggest me a diet which will help me lose fat & weight & retain my muscle mass. 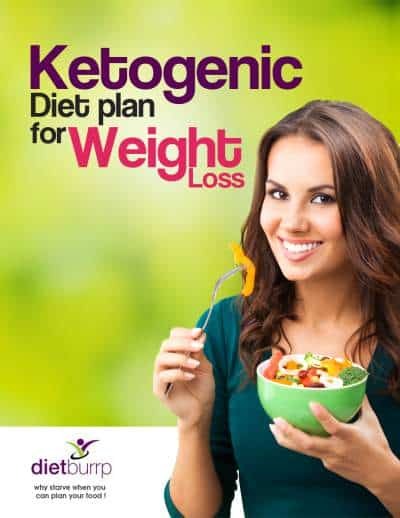 Please also let me which diet would be suitable for me Ketogenic / Atkins? If you are a non- vegetarian , keto is better option amongst the 2 . But i would always prefer following a low cal balanced diet for weight loss. 2 to 3 weeks is ok to follow . you can check on your activeness and skin health and then decide further on. 5-6 kgs weight loss if you do it with exercises.